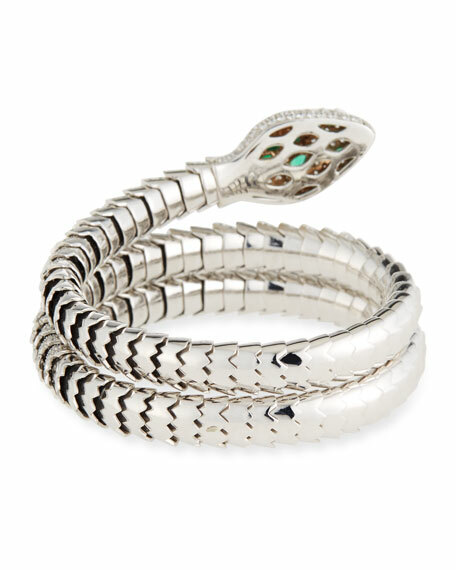 Emerald snake bangle by Roberto Coin. 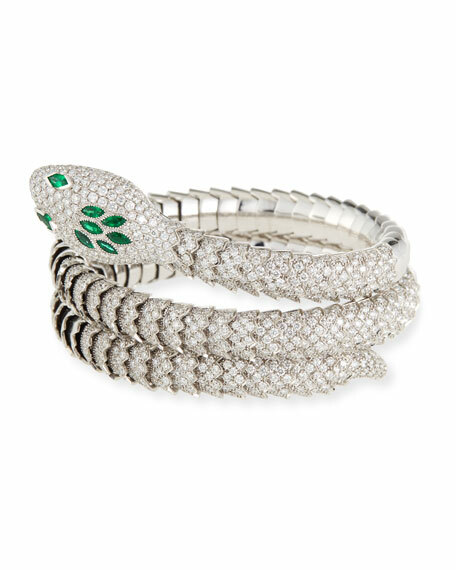 Coiled diamond pavé scaly frame. Green emeralds as snake eyes. 0.63 total emerald carat weight. For in-store inquiries, use sku #472568.